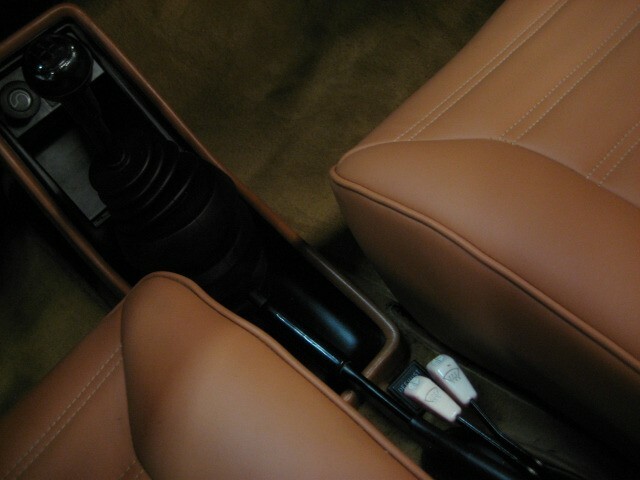 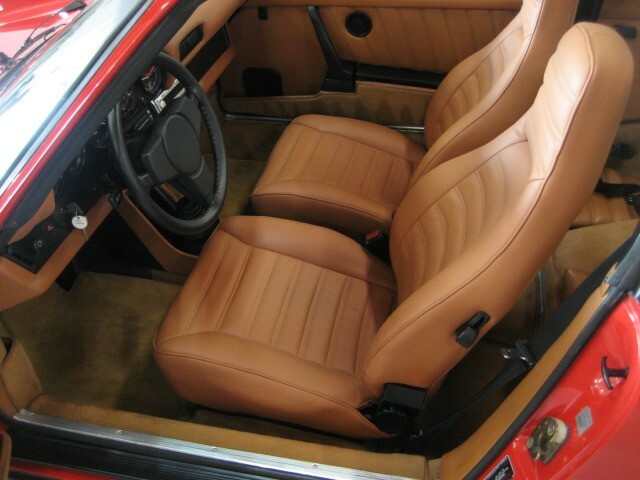 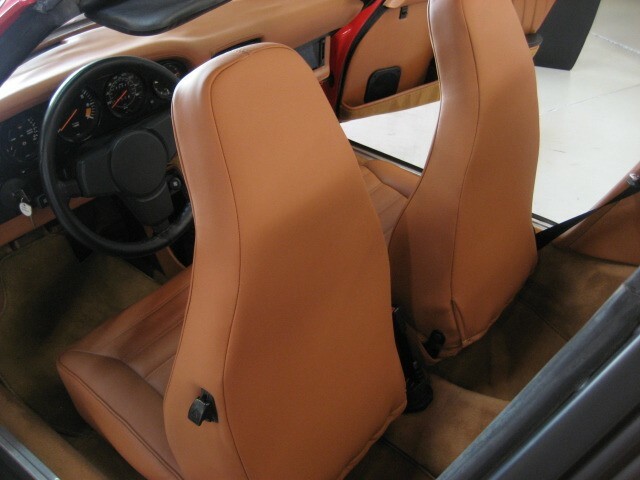 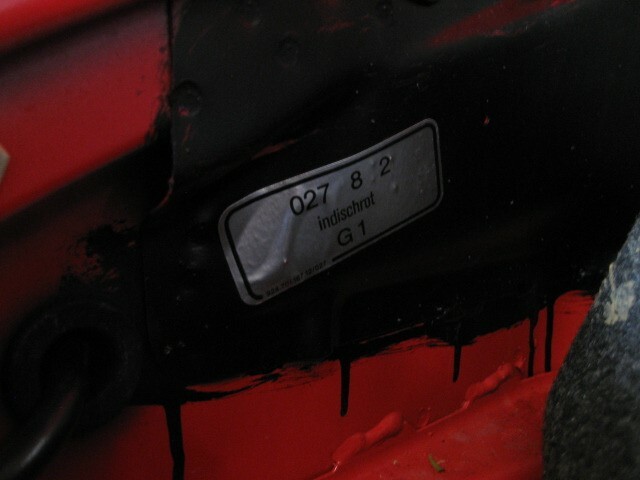 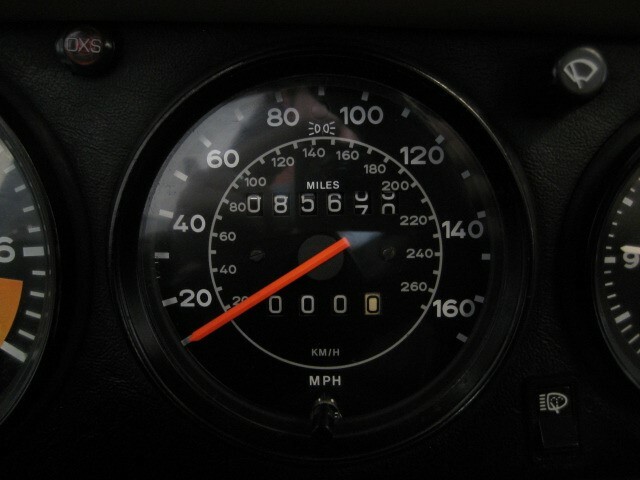 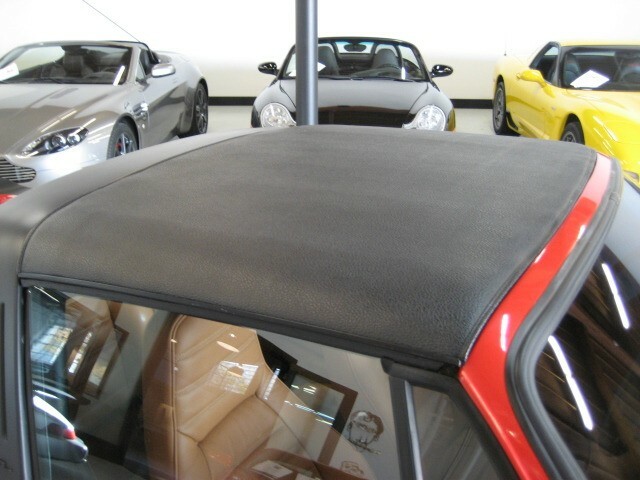 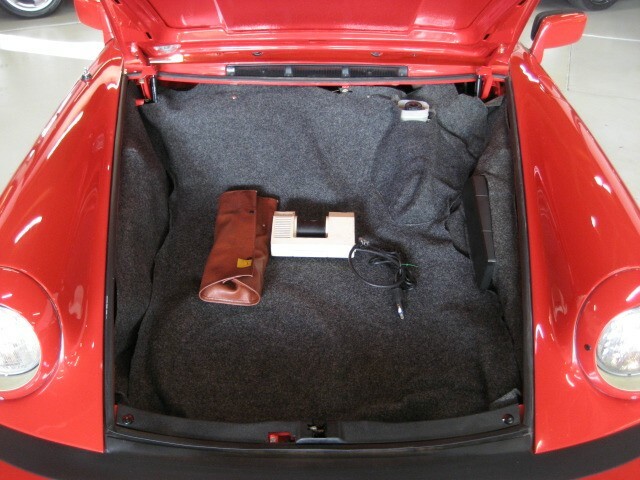 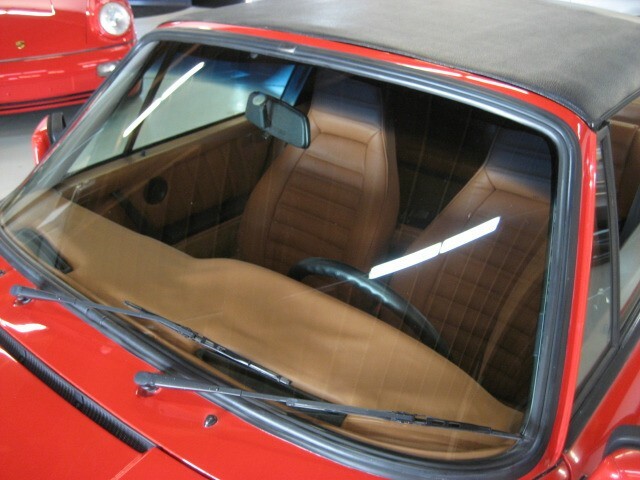 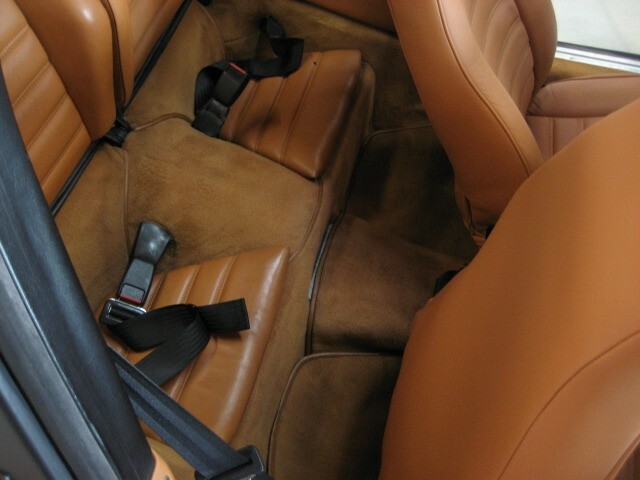 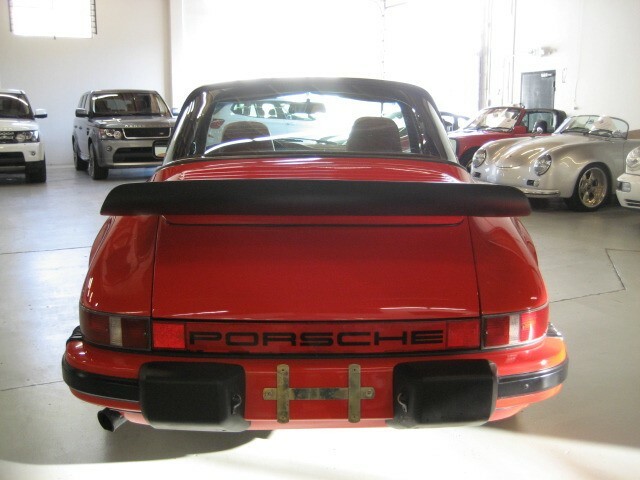 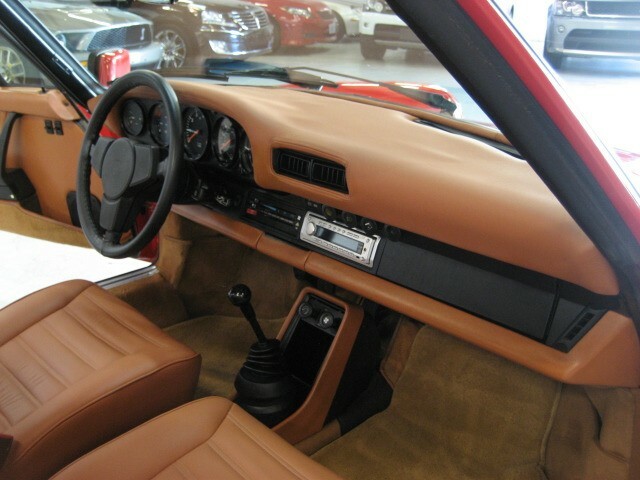 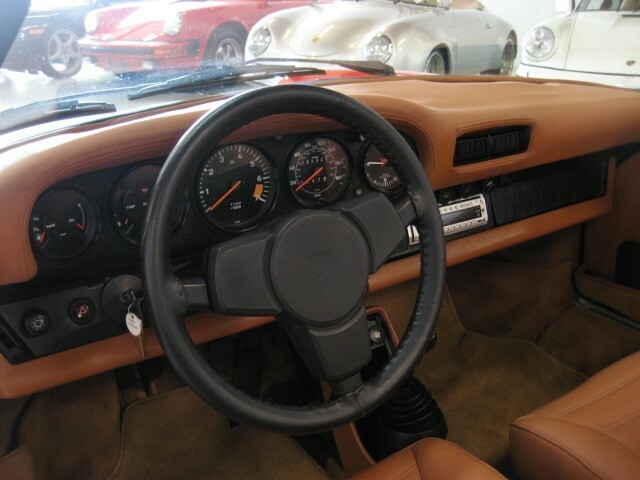 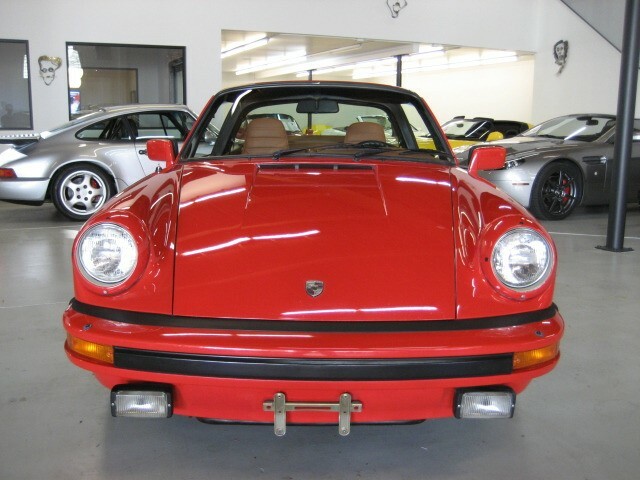 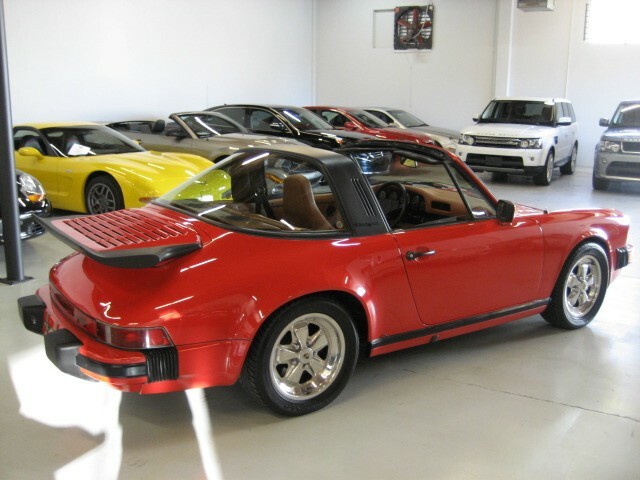 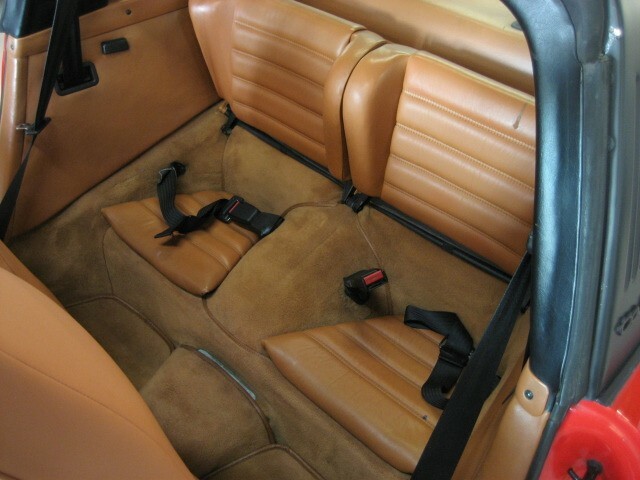 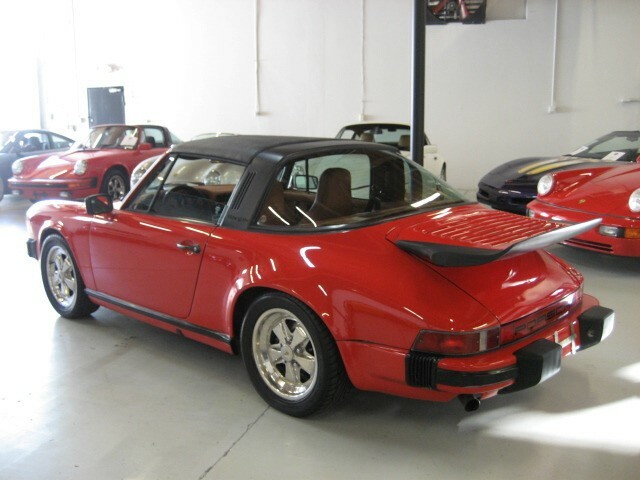 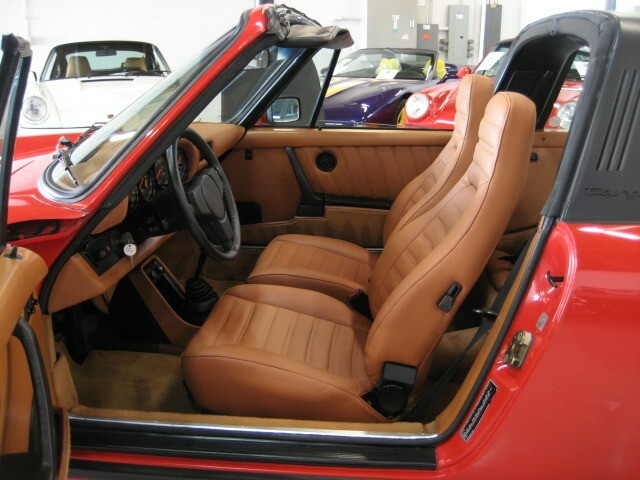 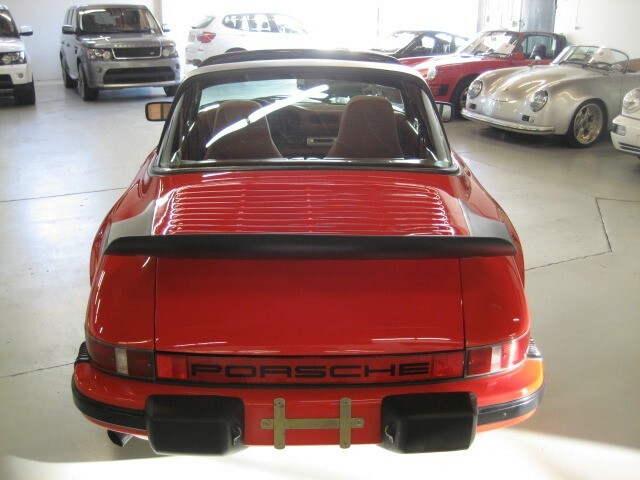 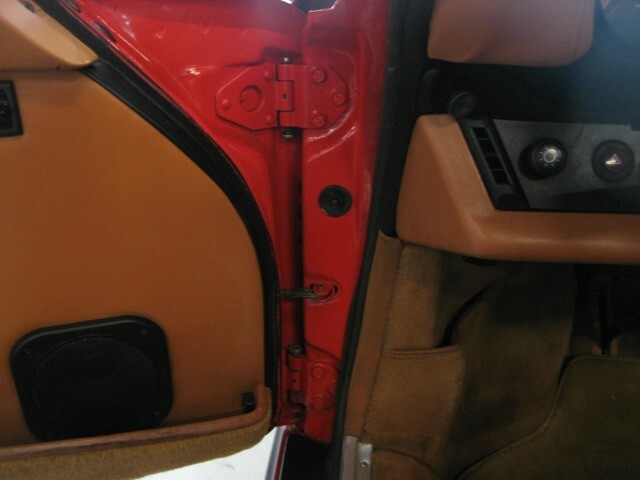 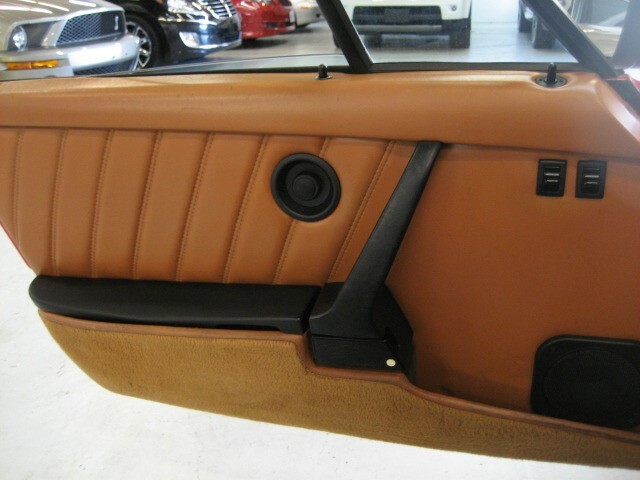 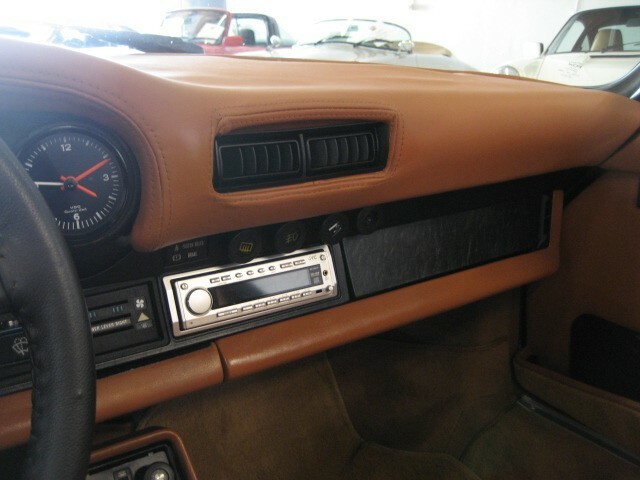 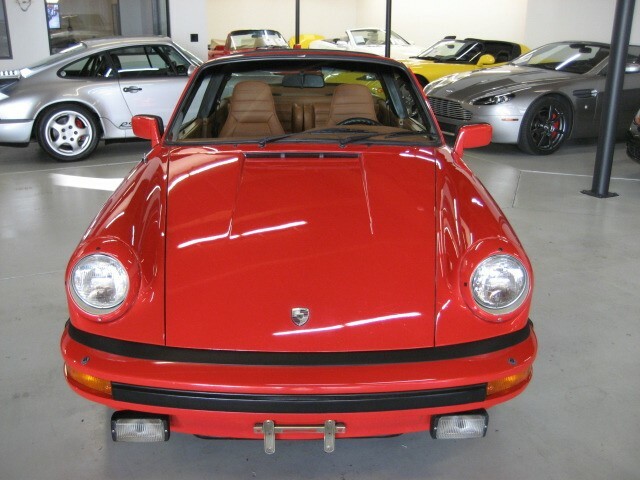 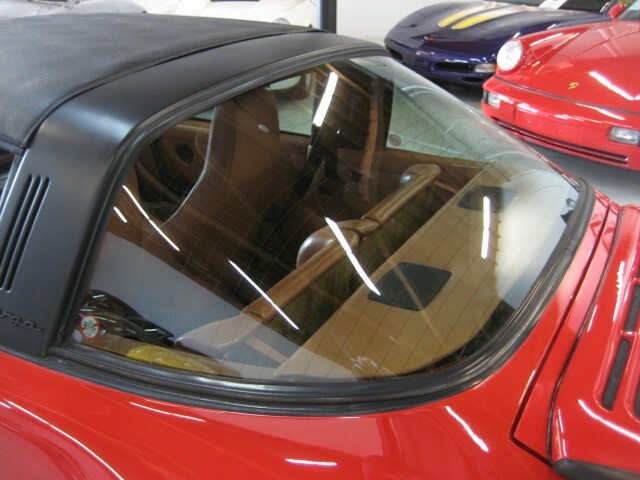 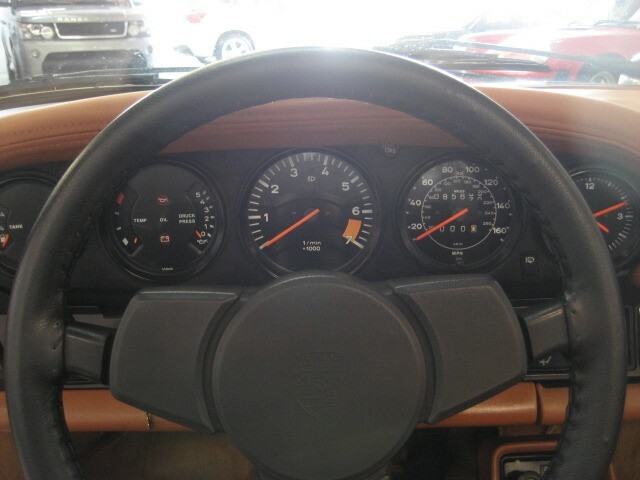 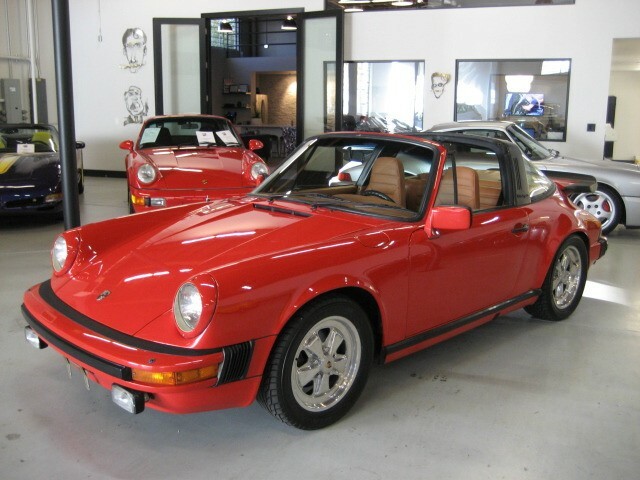 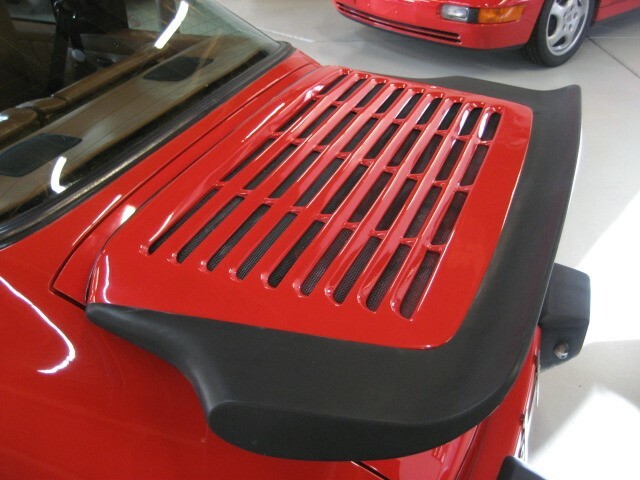 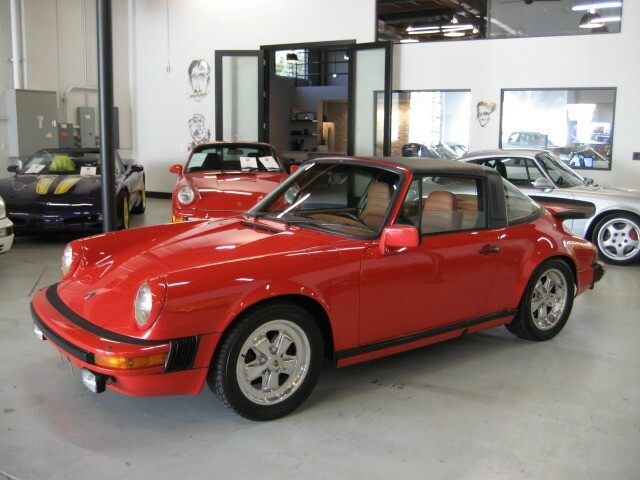 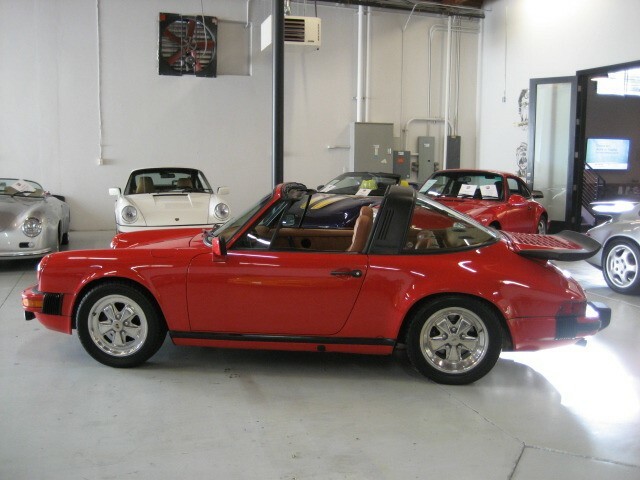 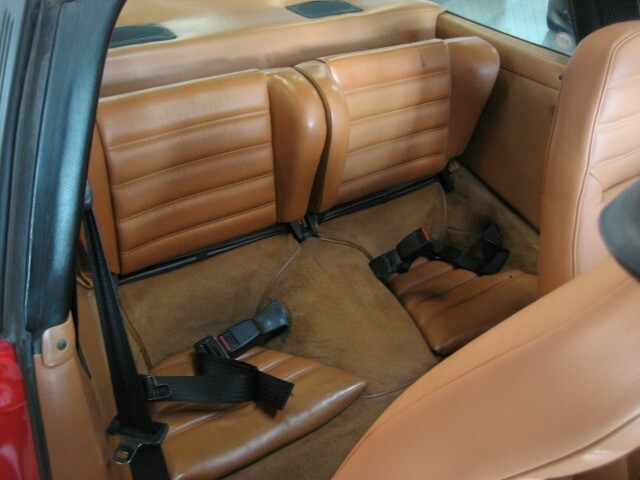 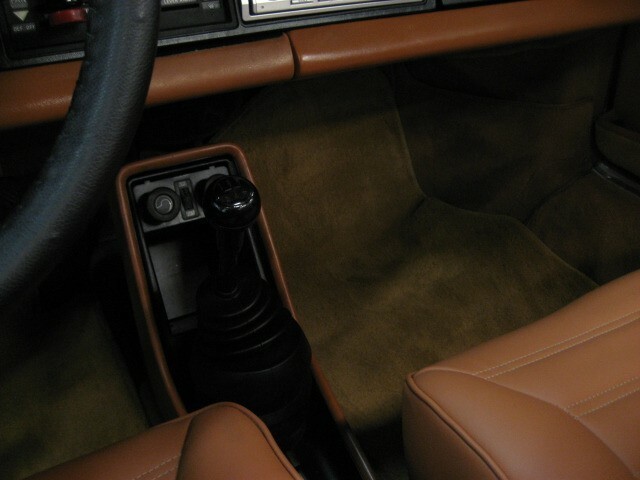 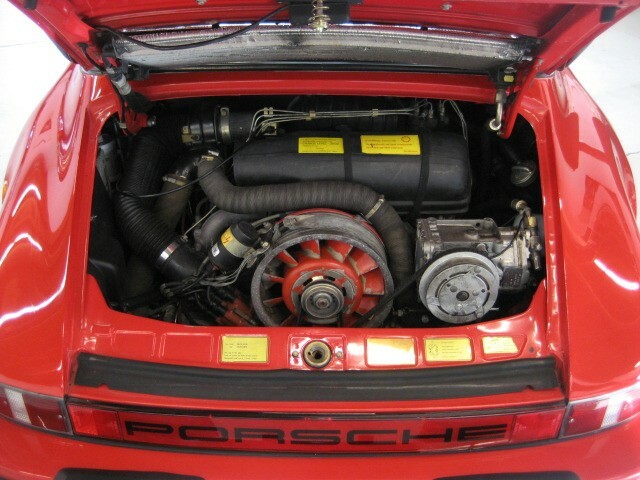 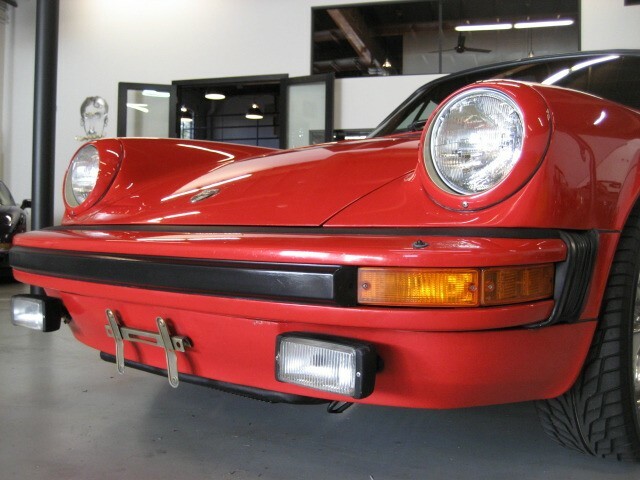 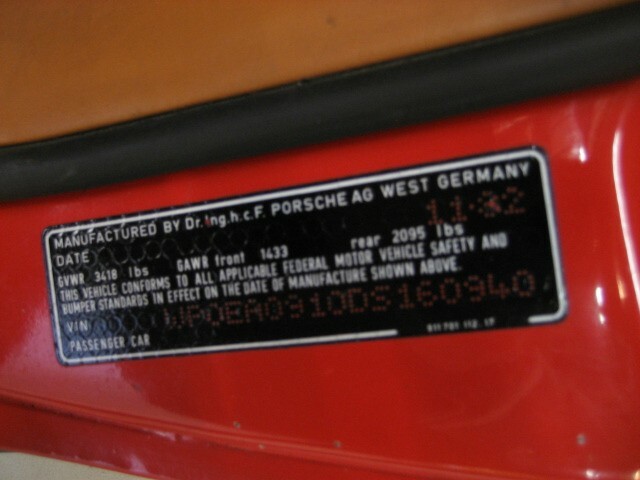 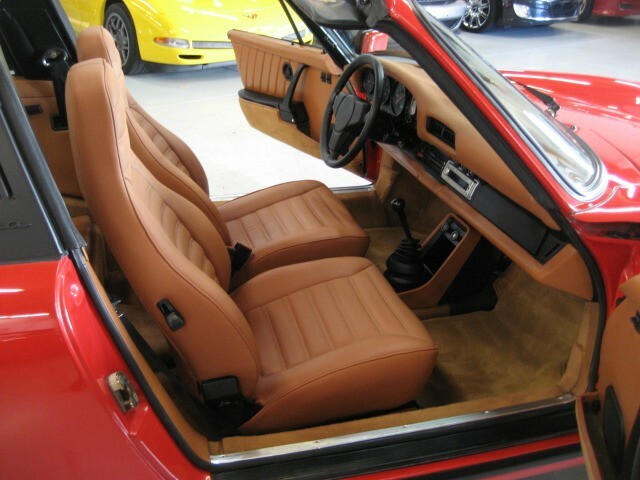 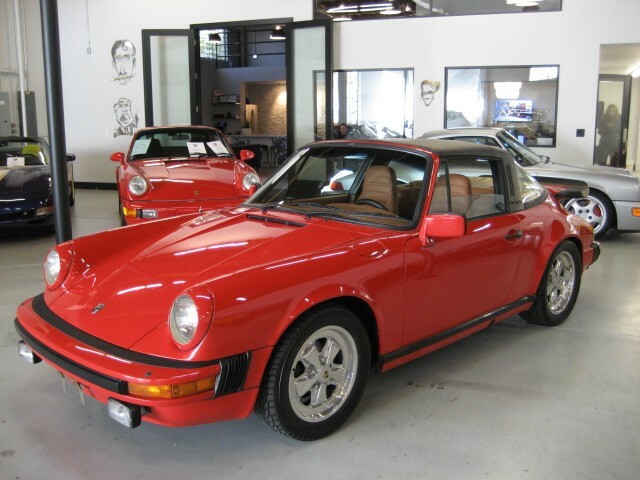 Beautiful 83 911SC Targa in Indischrot (India Red) with Cork Full Leather Interior, same owner last 8 years, older paint restoration that still shows too nicely for it’s age to do over yet, has it’s share of small blemishes, scratches, chips, couple of door dings, but overall still looks good. 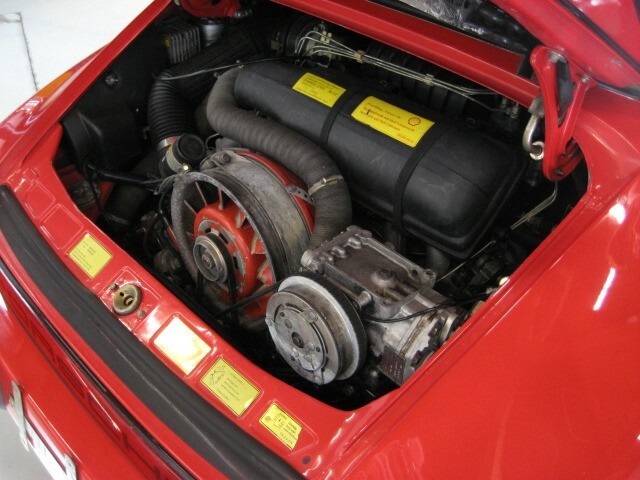 Probably one of the best driving 83’s we have seen, no doubt the result of recent engine rebuild to the tune of appx $7k just completed. 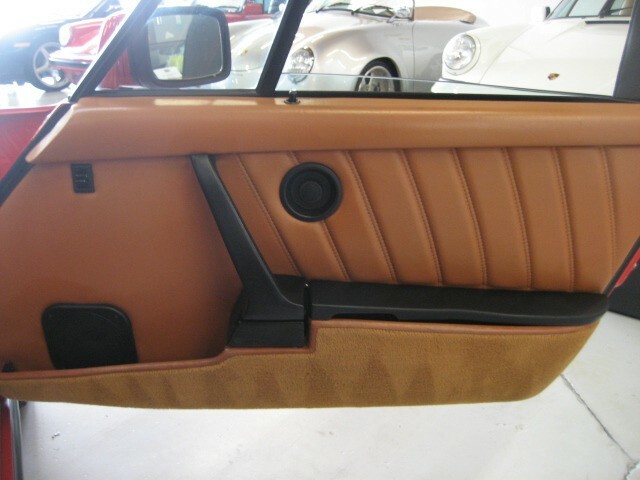 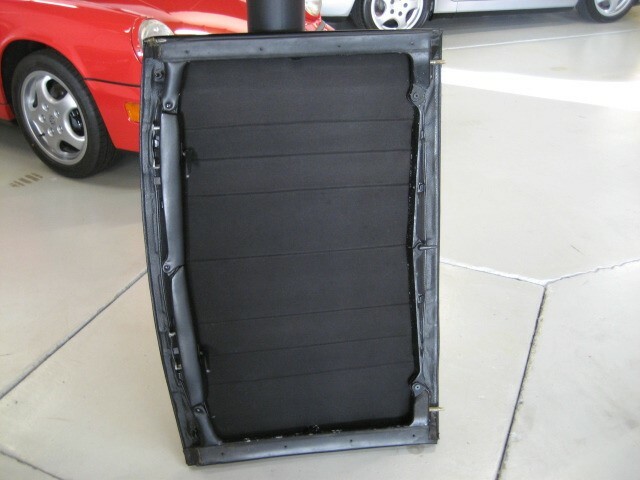 Full Leather interior, Front Seats and Leather Dash just recovered using correct materials from Germany in 2010 for another $3,700 worth, Leather dash recovered, not replaced, so looks good, but not perfect. 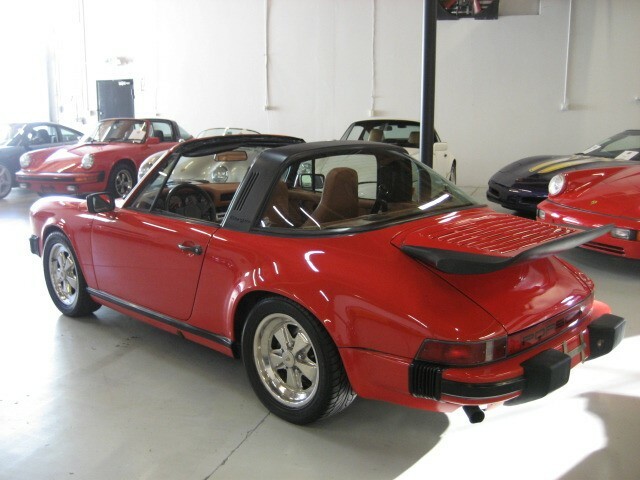 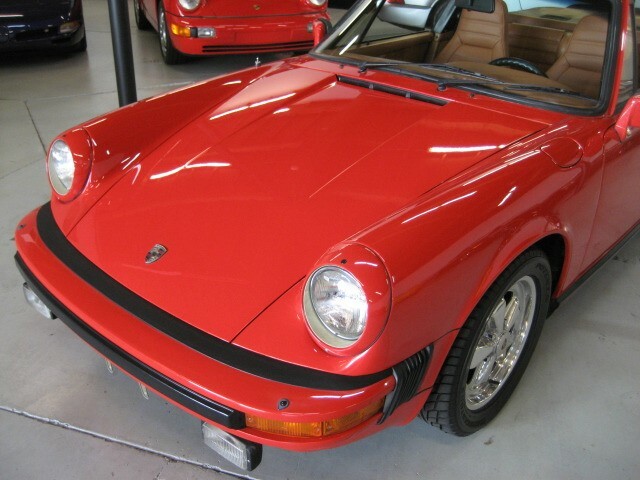 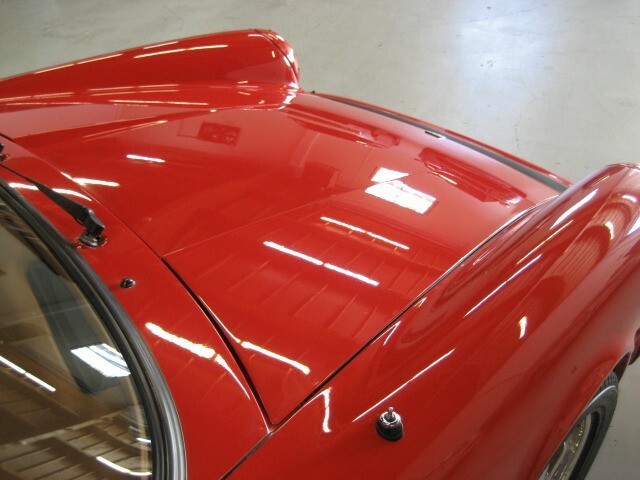 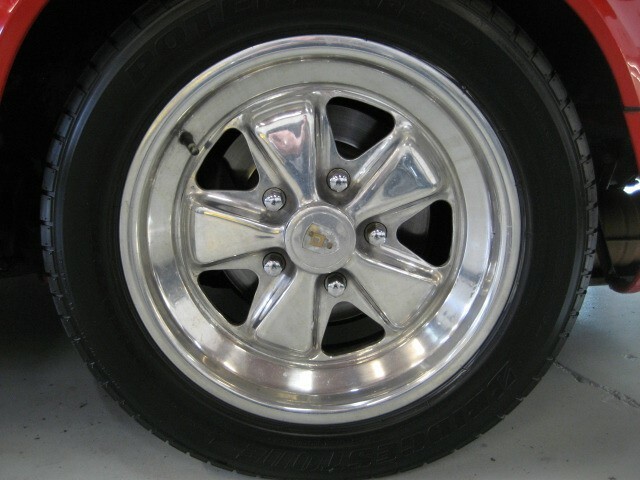 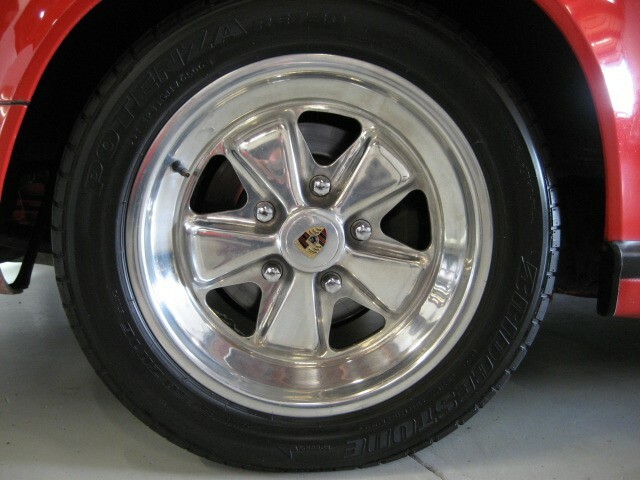 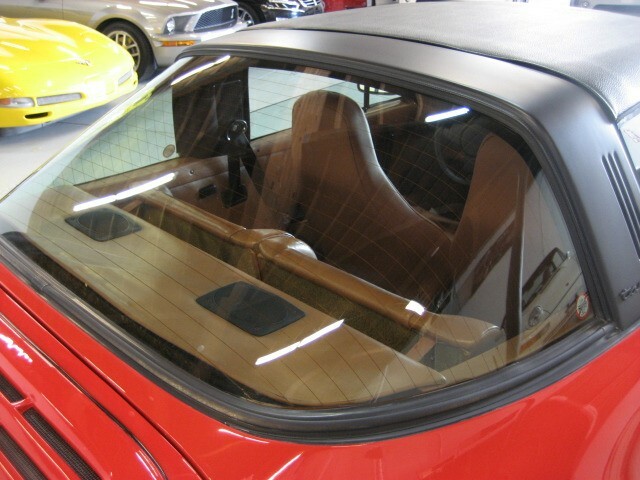 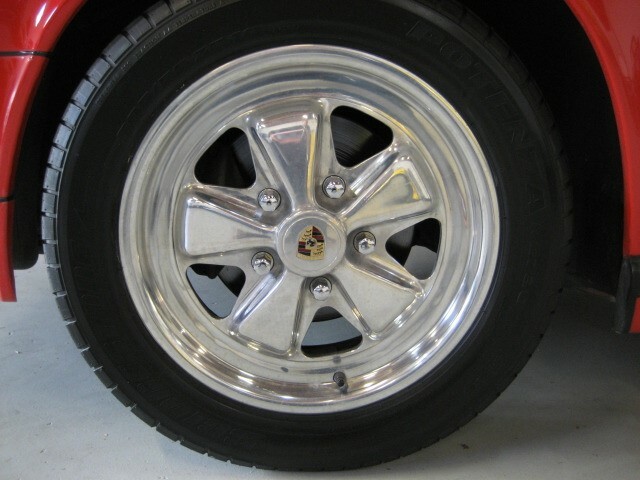 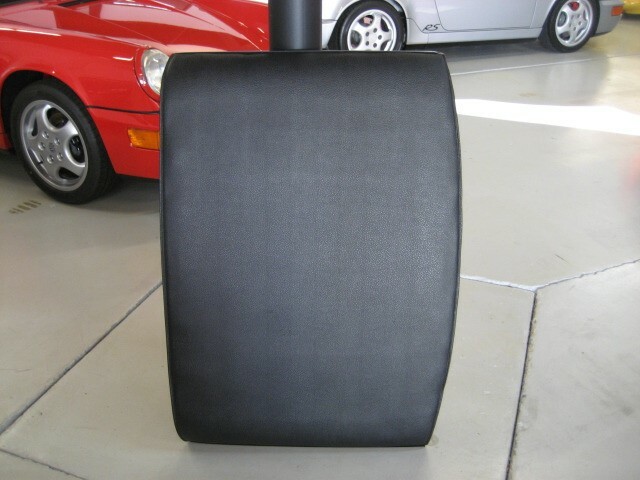 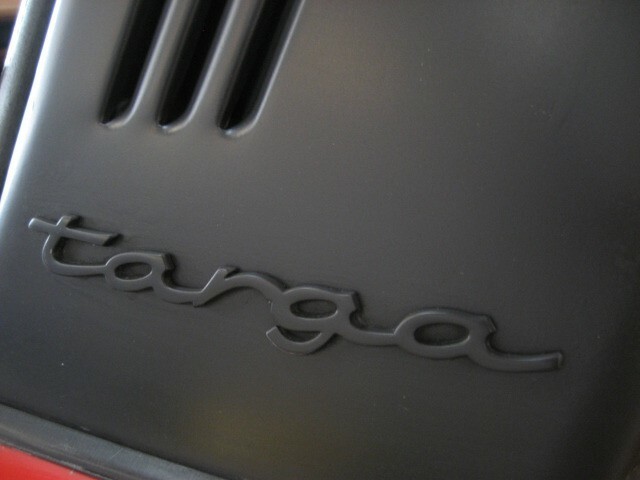 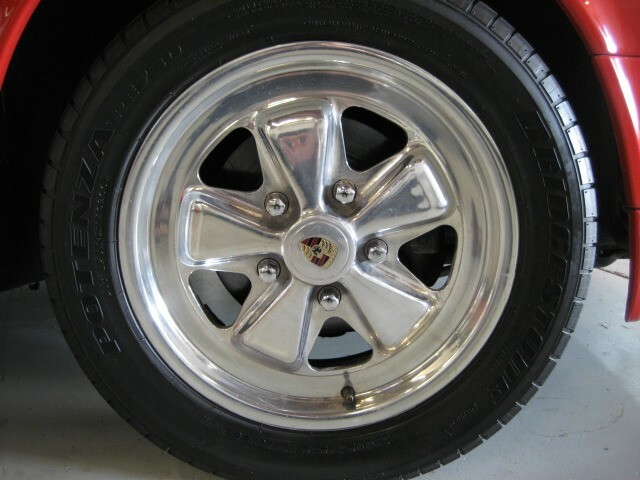 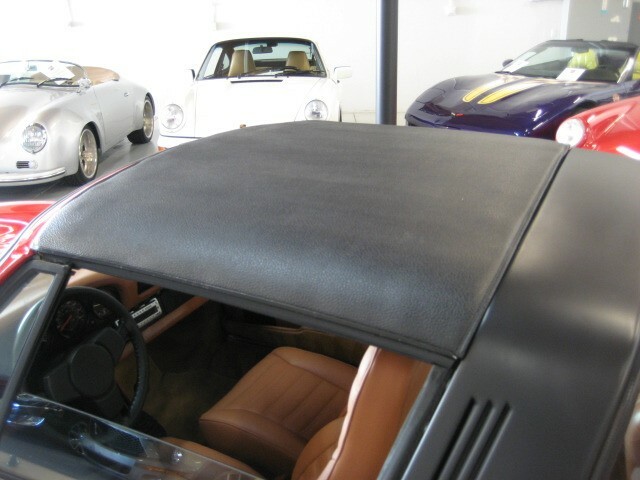 Targa top still in very nice condition, Polished Fuchs. 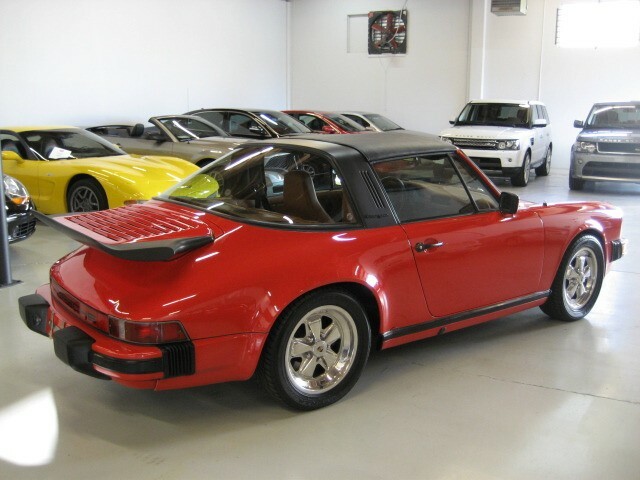 Will make an excellent driver, you would spend a small fortune to get one to this point, with only 85k miles, originally a California car. 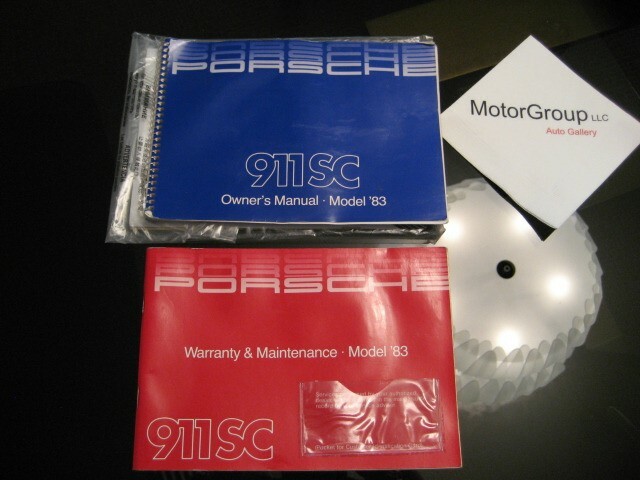 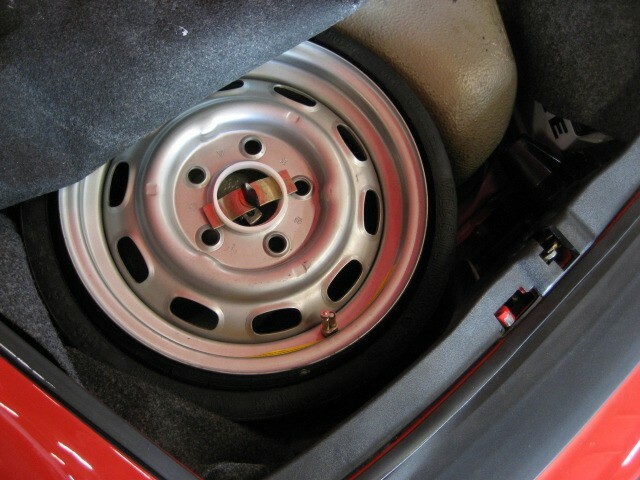 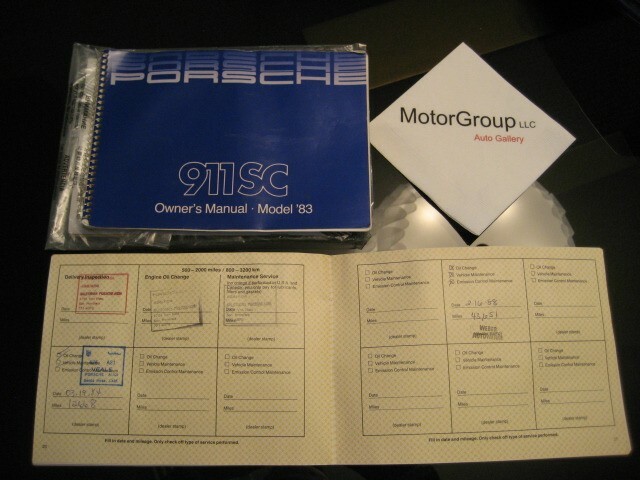 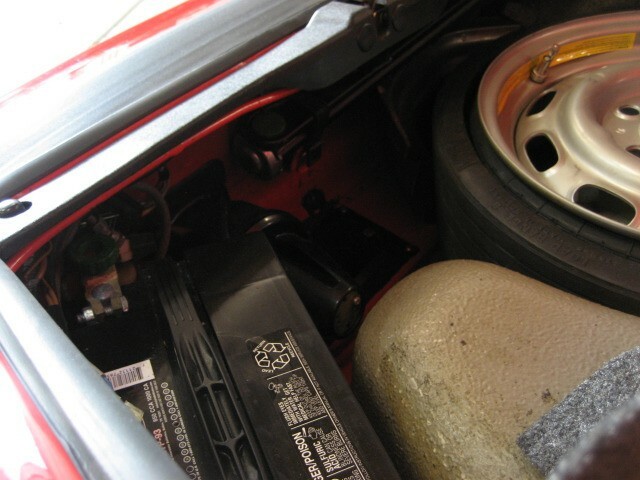 Carfax Certified, has it’s Owners Manual, Service book with stamps, Original Tool kit, Pump, etc. 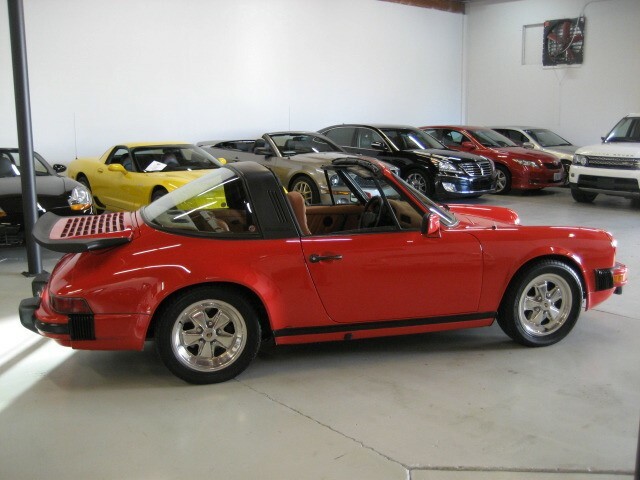 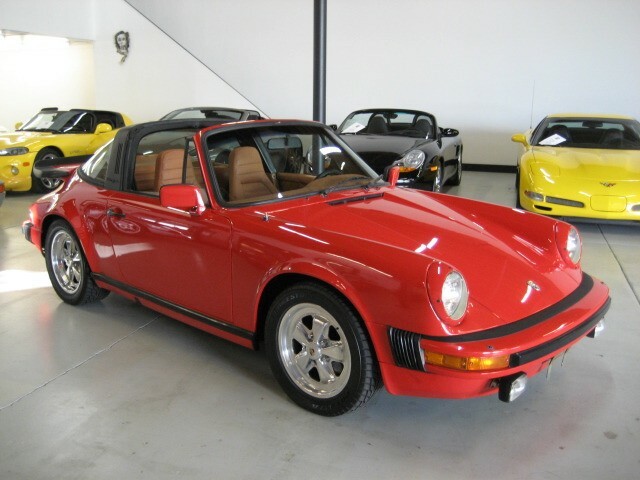 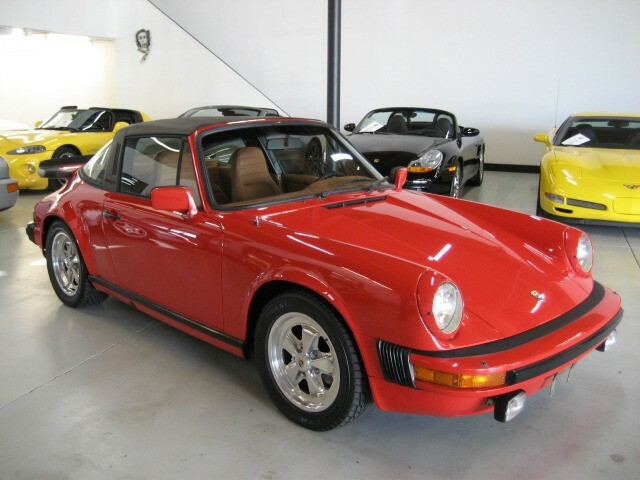 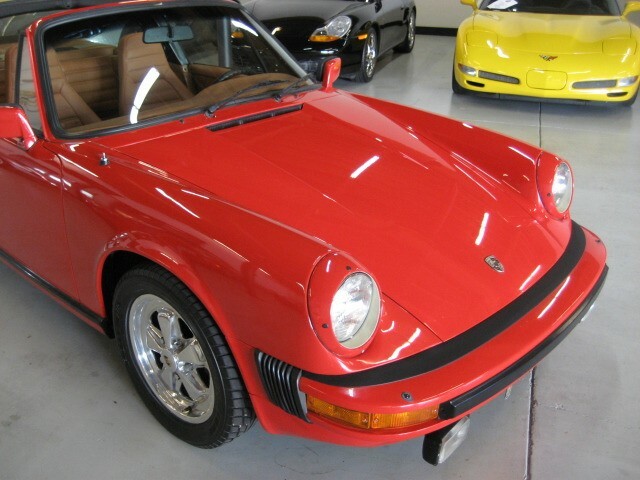 Truly an outstanding Targa buy !